After updating your device to Windows 8, Windows 8.1 or Windows 10, you might notice some bugs or issues that weren’t experienced in previous versions of Windows. Why is that? Well basically because now your drivers are out of date and you need to update your system in order to fit with the new OS. One common problem that is reported by Windows 8 and Windows 8.1, 10 users is related to hibernate and sleep features, which are no longer working properly. 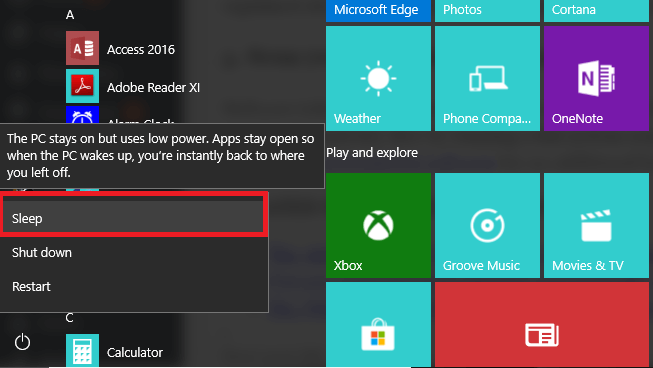 So, if you notice that you can put your Windows 8 / Windows 8.1/ Windows 10 device on hibernate or sleep state, or when trying to hibernate your computer, it gets turned off instead, don’t hesitate and use this step by step guide as we will be checking how to fix this issue. The hibernate feature is quite important as it allows you to easily power off your computer without losing your data. Basically, when you power on your device it will start right from where you have left it – you don’t have to save your data before choosing to hibernate your handset, while the reboot process will be significantly faster compared with a normal startup. But if this feature is not working as it should, you can end up in losing your personal info and data and you can also damage the firmware of your computer. Therefore, in case you can’t put your Windows 8, or Windows 8.1, 10 desktop on hibernate or sleep state, apply the following guidelines and try to resolve these problems as soon as possible. As already mentioned, these issues might be fixed as soon as you update the system of your device; in this way everything will be compatible with Windows 8 / Windows 8.1 / Windows 10 thus all the in-built features will smoothly run, as it were before applying the Windows update. But the first thing to do when noticing hibernate issues is to reset the power plans from your Windows 8, 10 computer, or to delete your custom power plan – in case you have created one. Go to your Start Screen and press “Wind + R” keyboard keys > in the Run box enter “control”. This will launch the Control Panel window. Choose “Power Options” followed by “Edit Plan Settings”. 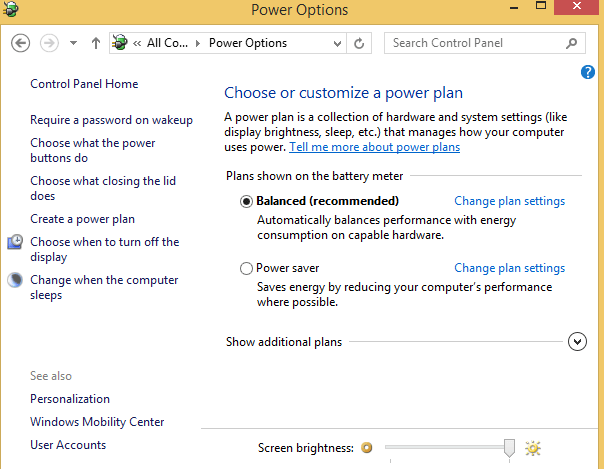 From there just select and delete the custom power plan or reset the default power plans that are featured on your Windows 8, 8.1, 10 device. If the problem still persists, then open Task Manager by using the “Ctrl + Alt + Del” keyboard sequence. Then from Task Manager choose the Startup tab and from there just disable all items except your drivers and reboot. If you still have the same hibernate problems then you might have a compatibility issue. In that matter you should try to update your display drivers and also the BIOS that are featured on your device. Basically, after flashing the updates you should be able to fix the hibernate and sleep problems from your desktop. So, that was all for now. Try the solutions explained above and see if there are notable results; don’t forget to feedback us on your way. Malware infections may prevent you from using the hibernate/ sleep feature on your computer. Make sure that you machine is malware-free by running a full system scan using your antivirus of choice. We also recommend you to install a dedicated antimalware software for an additional layer of security.